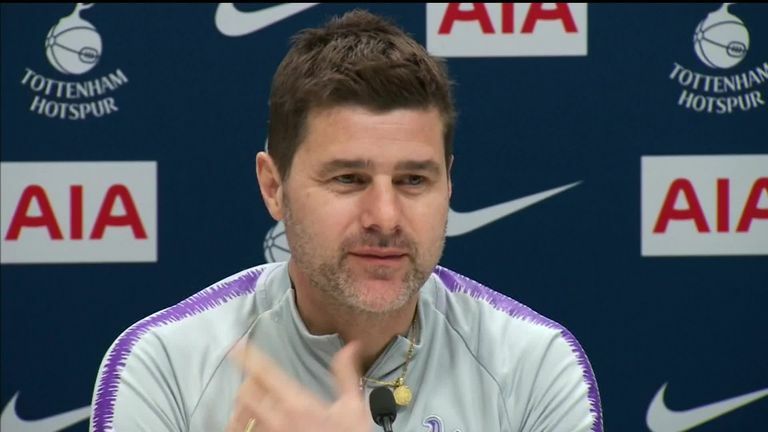 Tottenham manager Mauricio Pochettino has billed Saturday's clash at Burnley as a "final" in what could be a decisive week in the Premier League title race. Spurs could have been playing in an actual final this weekend, had they beaten Chelsea in the Carabao Cup semi-final, but instead their Sky Live lunchtime fixture at Turf Moor allows them to ramp up the pressure at the top of the table. With leaders Manchester City taking on Maurizio Sarri's Chelsea side at Wembley, and therefore not in league action, and second-placed Liverpool heading to Manchester United on Sunday afternoon, also live on Sky Sports, Spurs could cut the gap on those two to just two points. Indeed, if Spurs win and Liverpool lose at Old Trafford, winning the title would be in their own hands, with visits to Anfield and the Etihad Stadium to come in the run-in. Pochettino has a sense that this could be a defining weekend in the title race. "It could be a massive weekend," he said. "The football this weekend is like a final for us at Burnley. "It's going to be key in the future of the competition, the Premier League. It's a massive three points. "We feel that and hope that we can translate that to the players during the whole week that we've been working that idea that the most important game is Saturday. "If we're going to (be) capable to win the three points, to see us close to them (Liverpool and Man City), things will happen in different games but whether we get close to them or keep the distance, we'll see what happens with the top four too. "That's why it's a massive three points for us. That's why it's no point of thinking of anything else." 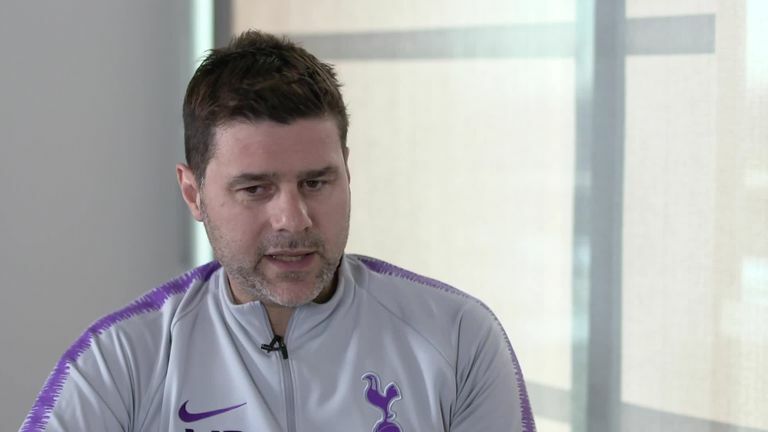 With games against Chelsea, Arsenal and Borussia Dortmund in the space of six days following the visit to the Clarets, it would be easy for focus to lie elsewhere, but Pochettino reckons his side will have regrets if they do not perform to their best. "We know that people are talking about Chelsea, Arsenal and Dortmund but for us, the focus was to translate the idea that Burnley is going to be tough," he added. "If we are capable of being focused and winning against Burnley, then we are going to see in a different way the next few games but if not, it's going to be tough. "For Burnley, I need to be more motivated and with more energy than in other games. We need to believe that the three points against Burnley will be decisive. "If we don't think this way and we go to Burnley thinking, 'OK, the important game is Chelsea or Arsenal', then we are going to struggle. "And then we are going to regret it. Saturday is the most important game in the period we have ahead. "And it is going to be easy to motivate them. This game, after 10 days in which we didn't compete, to be focused is the most important thing."